Vancouver, Canada, 18th December 2018 – Since March 2018, Rezatec has worked with British Columbia Oil and Gas Research and Innovation Society (BC OGRIS) to map vegetation regrowth across a significant area of 80,000 km2 in NE British Columbia, Canada to support Caribou habitat restoration efforts. Working with local partner Forsite, Rezatec has successfully demonstrated its geospatial data analytics in use as a cost-effective solution method to support the assessment of vegetation regrowth along manmade features such as access roads, pipelines, legacy seismic lines, and well sites over very large areas. This capability provides an effective and affordable means to estimate vegetation regrowth at a landscape level – such as ground survey efforts – that have been prohibitive due to the size and remoteness of the areas of interest. By applying its geospatial artificial intelligence technology, Rezatec has been able to model vegetation height across the 80,000 km2 target area. This can be used to provide detailed canopy information, showing major disturbances, vegetation patterns and larger linear clearings. Where this analysis identified canopy heights of less than five meters, it was used as an indicator that vegetation regrowth may be insufficient and restoration work may be required. This analysis has narrowed the area requiring detailed restoration assessment work in NE British Columbia, as well as provide a robust platform for estimating vegetation height across the whole area on a repeatable basis. 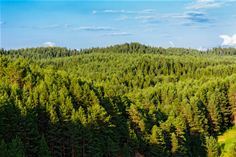 Tim Vallings, Vice President of Global Resources, at Rezatec stated, “As a result of our project, we are very pleased to have provided BC OGRIS with a proven solution that can provide a quick and accurate quantitative assessment of forest areas that indicate successful versus insufficient regrowth. We are now looking at how we can apply other geospatial data products to benefit other parts of their operations”. Rezatec aims to provide its estimated vegetation regrowth analytics to other areas in Canada where Caribou populations are being actively managed as well as looking at other indigenous species such as wolves and owls. Forsite has been delivering effective forest land management and development services – including strategic, tactical and operational planning support – to government and industry clients for nearly 30 years. An innovative company that takes pride in delivering cost-effective services, the quality of our work is reflected by the fact that the majority of their work is repeat business from satisfied customers. The BC Oil and Gas Research and Innovation Society (BC OGRIS) funds applied research focusing on information gaps to inform the environmental, operational and health and safety policy and practices for oil and gas exploration and development in British Columbia. The BC Oil and Gas Commission (BCOGC), Canadian Association of Petroleum Producers (CAPP), and The Explorers and Producers Association of Canada (EPAC) are members of BC OGRIS.